← Maybe I Should Feel Ugly and Fat? Loss/Gain: +2.0 since last Thursday, but -2.0 since last Friday. As my mom said, “Happy Holidays, huh?” Sigh…yes. Needless to say I wasn’t “on track” over Thanksgiving and the only silver lining on that cloud of gain is that I am down from last Friday. Unfortunately, I’m having a bit of a time getting back on track and am worried about my Finish Strong challenge. 1) Thank you to my fellow bloggers who commented and encouraged me to keep pressing towards my seemingly impossible weight goal. I have been discussing with a good friend about how a girl I know has put some weight back on (after reaching a healthy weight) and keeps mentioning that she thinks she’s just good at that weight and it makes me want to justify not losing any more myself. I think this girl might be about where I’m at now – if we did a heigh:weight ratio, so it’s been almost like an excuse for me, because I find myself thinking, “Well, if she feels fine and is staying active, then why should I try and lose more? ?” However, like I said earlier this week I know my eating is not where it needs to be and thus I can not allow myself to make excuses about reaching a healthy weight. So, I won’t give up and I know I must press on. 2) Wednesday I had my physical assessment with the trainer at the gym. The results were amazing to me and reminded me of how far I’ve come and why I want to continue towards my healthy weight. Okay, well, honestly…they were another reason I could see why the girl I mentioned above might not worry about getting back to a healthy weight…when you’ve seen yourself come so far you almost don’t feel the need to continue. My “body age” registered at: 31 , but I’m really 36. My overall fitness fell 2/3 towards the top of “Good”..next level was excellent and the top of the chart. In GOOD fitness shape and with a body fat percentage in a good range…with 25 pounds left to lose? You know I understand the need to get to at least the high end of a healthy weight and thus the need to stay focused and keep working on weight loss, but it felt really good to see on paper Wednesday that I’m no longer the couch potato, overweight mom who never thought she’d be “like those people” who were healthy. So, I still need to lose more weight. I will. 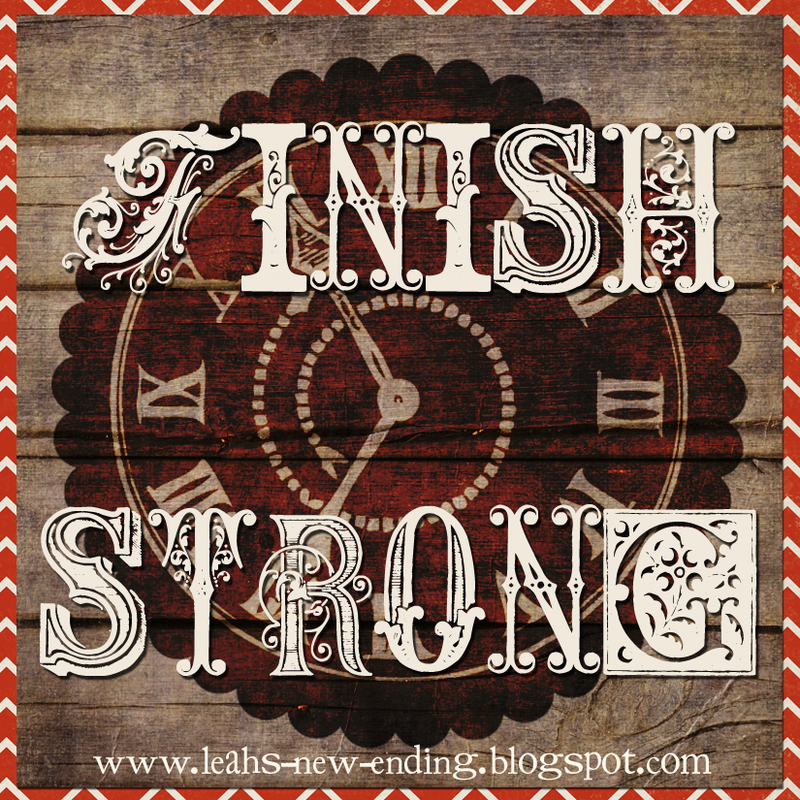 But for today, and in the face of this yucky holiday gain, I feel good and I resolve to do my best to complete my Finish Strong challenge and … well… finish strong. As always, no matter what… I won’t quit. Thanks for checking in on me. You are doing awesome! You are conscious of being healthy, but you are enjoying life – you aren't giving yourself a ticket to gain 10 lbs during the holidays, but you aren't trying to be so rigid during this joyous (and stressful!) time – You know you'll get back on track. You've been on this journey for over 3 1/2 years and you will perservere! Do you have suggestions for good inspirational weight loss/healthy living blogs? Except for yours, it seems like all the ones I was following have either made goal (and that is no way meant to be snarky – I find yours very inspiring) or have gained a lot of the weight back (like me, but now that I want to get back on the bandwagon I want more blogs of people who are actively on their journey. Hey there JesseyBell!!! So excited to hear from you!! I'm out and about, but I can tell you of some new ones when I get home again. I had the same problem, or blogs went private (which I understand). That's a terrific body fat percentage, along with your great fitness level. You should be proud of yourself. Awesome numbers Leah! And the graphic at the end says it all. “Finish Strong.” Not “Half-Finish,” but “Finish!” You can do it.